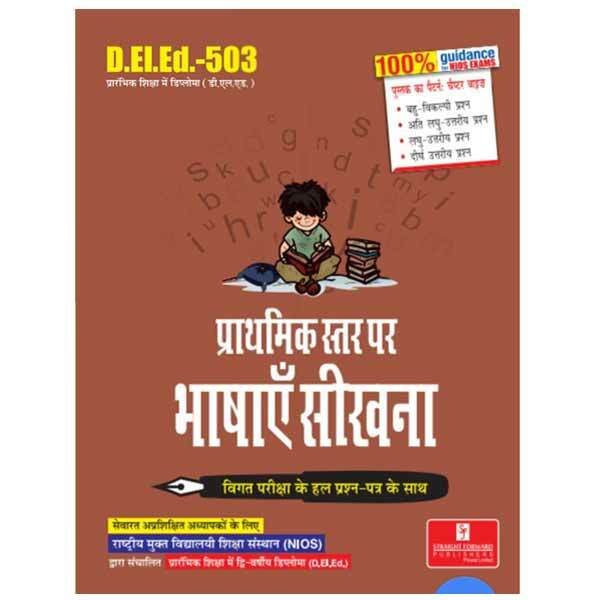 The Untrained In-service teachers may require reference or help books to prepare for upcoming NIOS DELED second year examinations.So, the straightforward publishers has come up with the reference book of D.El.ED 508 Learning in Art, Health & Physical and Work Education course which fulfill the need of students. This NIOS DElEd 508 help book will help the students in better preparing for their exams. These books has been specifically designed and developed for Untrained Teachers who are pursuing Two- Year Diploma Education (D.El.Ed..) from NIOS. It is useful for learners who have selected English as their medium of instruction.